In my cupboard sits a small container of ground cayenne pepper. It sits and waits and hopes that it's sole purpose in life is not to be part of some cleanse diet. Never fear, cayenne pepper, I promise to give meaning to your existence by incorporating you into as many brownies, cookies, and cakes as I see fit. Lemon juice and maple syrup, that goes for you too. I've made peace with the tasty trio. We're all friends again. Now let's talk cookies, shall we? It's autumn. My mind has processed this fact, even though sandals and t-shirts are throwing silent protests. Despite recent evidence to the contrary, this is my favourite season. It's just that the last 2 winters' were excruciatingly long and cold, and I feel as though summer, and especially spring, were treated unfairly. I like balance. If the scales of Mother nature are going to tip in favour of chilly weather, then at least I can bring some harmony to my world via throat-warming spiced cookies. 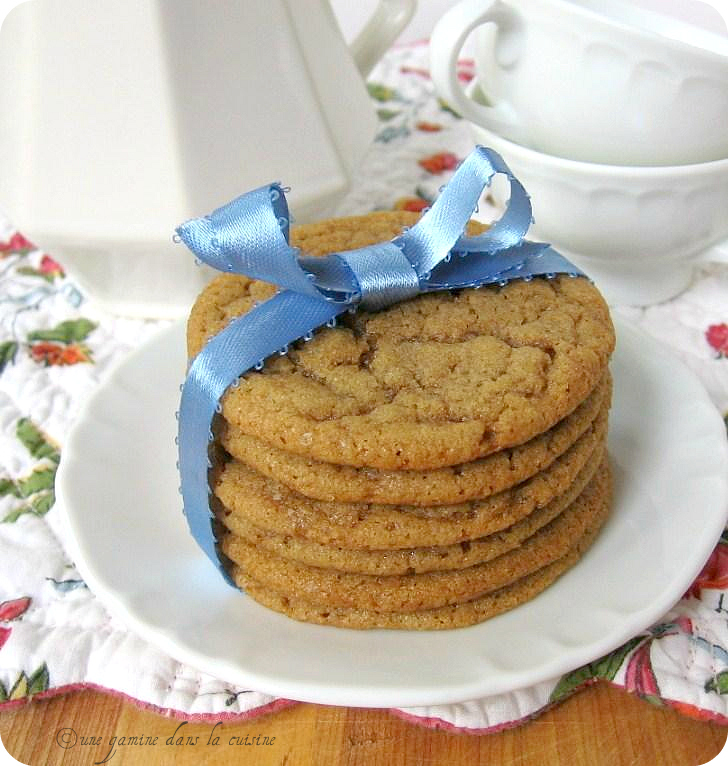 Not only do these cookies have a hint of cayenne, but thanks to the use of dark brown sugar, they also have a healthy dose of deep-thinking, molasses. To me, molasses is the pensive, silent, poet of the 'syrup' world. It's not as cloyingly sweet as corn syrup, and not as fame-seeking as maple. Molasses is right in the middle. Thick, perfect and offering just a hint of spice. So if you're ready to give yourself over to fall, but you need a bit of hand-holding, please try these cookies. They're simple, soft, and offer just the right amount of season changing comfort. After eating a few, you'll know that everything will be okay. In a large bowl, whisk together the flour, baking Soda, salt, cayenne pepper, ginger and cinnamon. Set aside. In a separate large bowl, beat the butter and sugar together on medium-high speed, until smooth and creamy (about 3-5 minutes). Add the egg and beat well, scrapping down the sides of the bowl as needed. Add the dry mixture and beat on low speed until combined. Increase the speed to medium and beat for about 1 minute more. Cover the bowl and chill for about 1 hour. Preheat the oven to 375 F. Line baking sheets with parchment paper. 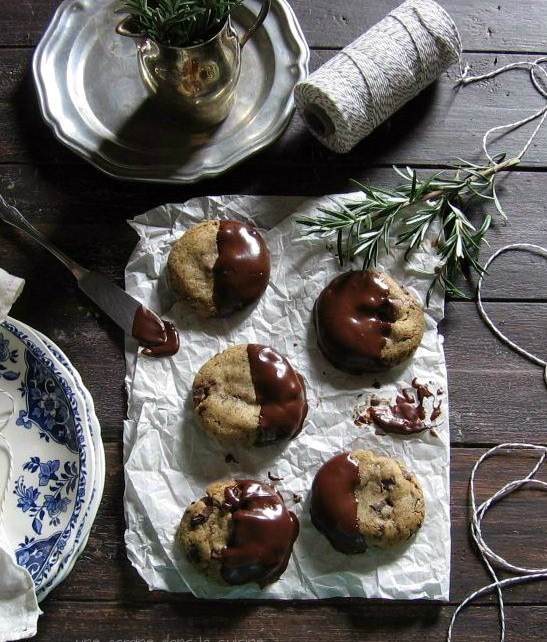 Drop rounded teaspoonfuls of dough onto the sheets, leaving about 2-inches of space between each cookie. Bake 8 to 12 minutes or until the edges are just beginning to set. [Note: My cookies were ready right at the 8 minute mark. They were chewy and wonderful. If you want a crispier cookie, increase the time to about 10-12 minutes.] Remove the sheets from the oven and allow the cookies to rest for about 7 minutes before transferring them to a cooling rack. Valerie, these look delicious. I love that touch of heat. 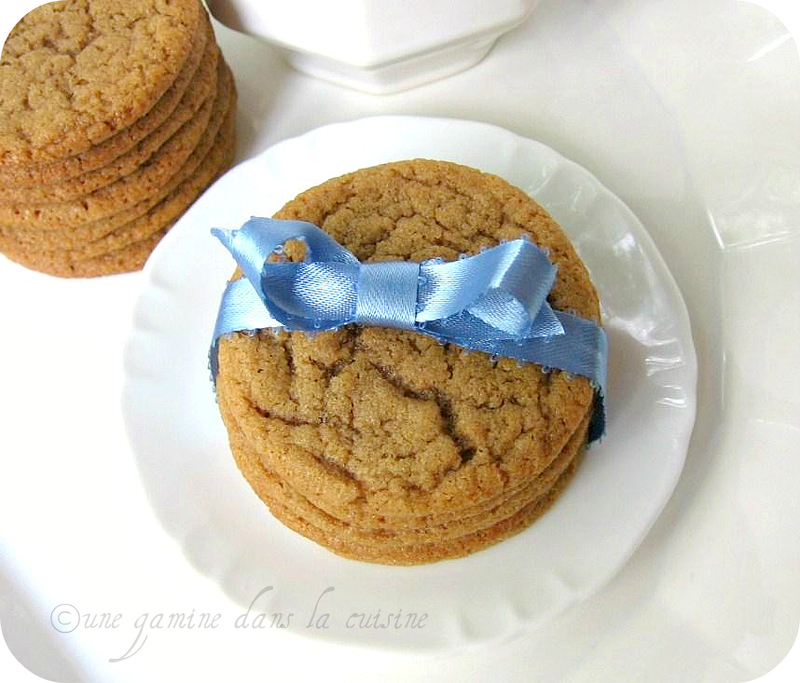 This is the season for making cookies and this will go on my list for certain! Perfect looking cookies! They must be just divine. These cookies look and sound the business! Just love the idea of that backnote of heat in there. These are picture perfect. I love spice cookies. Molasses is just about perfect. And thank you for the reminder that spring will come again. We seem to be celebrating an early winter in Toronto this weekend. ¡Que galletas tan ricas y artasanas!! te han salido de 10! What a great little cookie. I love adding a touch of cayenne to sweet treats. beautiful photography. and looking at your cookies make my mouth water! These look great! Quick question - after refrigerating the dough for 1 hour, did you immediately scoop it out onto a baking sheet? Or did you let it sit until it was room temp? Hi lia, I scooped the cookies out as soon as the dough was removed from the fridge, but if it's a bit on the hard side, just let it rest for about 10 minutes at room temperature.